Men sometimes assume that “those good smelling things” that Essential oils have is just for women. YL actually has created a line of essential oils just for men. The truth is essential oils, no matter what they may smell like are for everybody, even animals! (No, I didn’t mean you dude). Essential oils have been used for thousands of years and most recently are gaining acceptance in the 21st Century in being a viable choice for a healthy lifestyle. 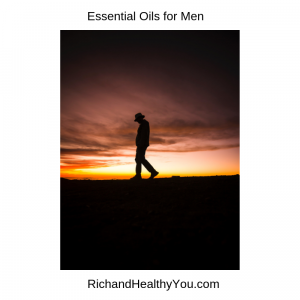 YL has essential oils and essential oil-infused products that everybody can benefit from. Take a look around and see what you can use for yourself and or your family. I know you’ll find at least a few things. I’ve been using essential oils for years now and have found that I use some type of essential oil or oil infused product every day. This entry was posted in Essential Oils for Men and tagged essential oils designed for men, essential oils for men, young living premium starter kit. Bookmark the permalink.